Twelfth Night fast approaches, the time when I pack up all the Christmas finery for another year. I'm already hard at work on handstitched gifts for next Christmas, and I hope to finish them before I run out of steam. January always flies by for me, what with the packing up of Christmas at the beginning of the month and the annual week long celebration of my birthday/ our wedding anniversary at the end. This year January will be even busier because there are several author signings at The Poisoned Pen that I plan to attend. The first one is with Betty Webb this coming Sunday. 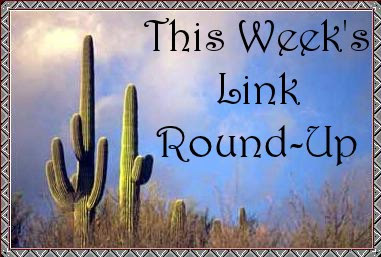 Better make sure the camera batteries are charged after I round up this week's links! Michael Bourne's New Year's Resolution? To read fewer books. Some authors aren't reacting well to Amazon's new online review crackdown. How a new generation is leaving physical books, DVDs and CDs behind. Libraries try to update the bookstore model while others are wondering if we still need libraries at all. Stephen King autographs a book to help needy Maine households. One writer on his blurbing problem. Author Betty Webb talks about llamas, cozies and outlines. Goodreads tells us which was the most reviewed book of 2012 in a fun infographic. The hidden powers of your mouse. Print sales rose over the holidays, but what does this mean for physical versus eBooks? Libraries are starting to emerge as bookstores. Is the eReader revolution over just as it began? Some British authors reveal their favorite reads in 2012. 15 literary resolutions for 2013. 3 books to read before the end of the world. 15 great vintage book covers. More of the best books of 2012 from Salon. The best literary adaptations of 2012. The 25 most anticipated movies of 2013. Words and phrases people would love to ban from the English language. Furniture made from shredded magazines (just think of the extra money doctors' offices could make by recycling theirs). A Louis Vuitton bookcase trunk. LOVED the list of America's best bookstores. I might have to plan some trips around the country so I can visit them myself!